I wonder how many eager cinephiles spotted the opening intertextual reference to the Manmohan Desai film Chhalia as the Samjuhta Express makes it way from Pakistan to India? 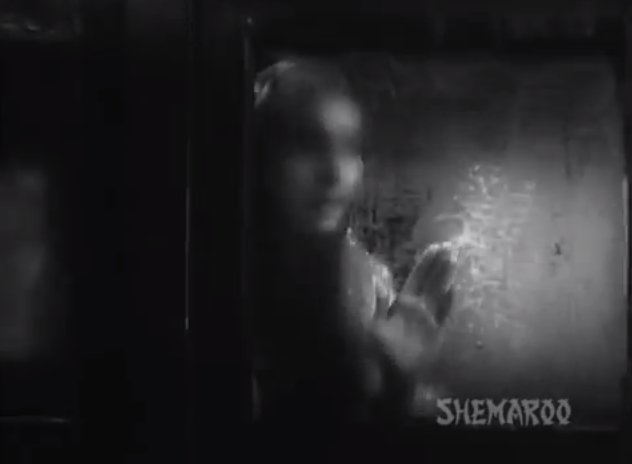 The image of Nutan wiping away the condensation from the window of her train compartment (see below) in the 1960 film is eerily resurrected in the cinematic memories of Bajrangi Bhaijaan. 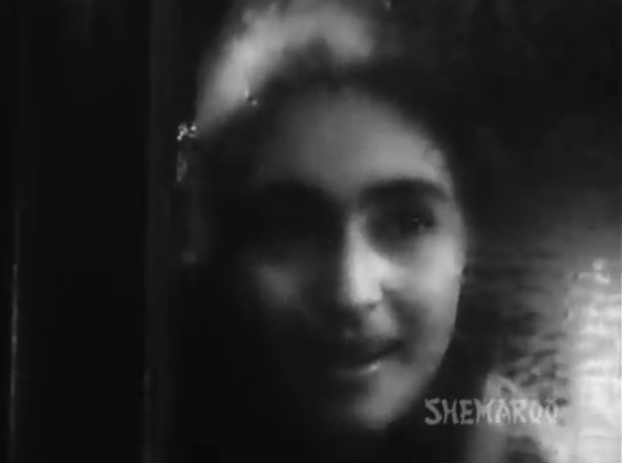 By reaching back to one of Desai’s earliest films, a work exploring the trauma of partition through the eyes of a displaced abductee, Bajrangi Bhaijaan implies this mainstream star vehicle for Salman Khan, while trying to broach the subject of borders and belonging, will in truth be a secularist allegory on the inwardly interminable disturbance of partition. However, does a slick filmic reference to a classic Hindi film automatically categorise Bajrangi Bhaijaan as a deft slice of mainstream melodrama? It certainly peaked my interests but like so much of contemporary Bollywood cinema, the film falls prey to an imitative narrative, delivering a film of two halves; the first half, comical in tone, whereas the second half is all about the histrionics and the value of closure. Adopting the much abused ‘lost and found’ narrative, the film is about a young Pakistani girl Shahida (Harshaali Malhotra) left behind in India. 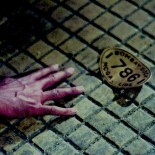 It falls upon Bajrangi (Salman Khan), a devotee of Hanuman, to reunite Shahida with her parents in Pakistan. Unlike Salman Khan’s previous films fashioned around his hollow hard body persona, in Bajrangi Bhaijaan the action genre is displaced by social melodrama leaving him sort of exposed as an actor. Unsurprisingly Salman Khan has never really taken acting seriously, having spent his career unashamedly and narcissistically playing himself. He does so again, and when Bajrangi crosses the border into Pakistan he does so as Salman Khan, a secularist Indian film star, imagining a visual memo of cross border congruence borrowed somewhat from P.K. Admittedly, the film is far more compelling in the second half, enlivened unquestionably by Nawazuddin Siddiqui’s amiable performance as a disillusioned Pakistani reporter, chronicling Bajrangi’s journey through Pakistan, while semi-evoking idioms of the road movie genre. This is a disjointed film, which could have worked far better if it had focused on Bajrangi’s mini exodus through Pakistan. The film’s didactic political approach, accomplished with a bothering sledgehammer like impetus, reaches a spectacularly calculating series of catharses, erasing the Indo-Pak border and reinstating equipoise in terms of religious and national variances. If religious intolerance is a major theme it lingers benevolently on the surface, never pursued with any real complexity. In many ways, the film has become caught up in the criminal charges currently being brought against Salman Khan. 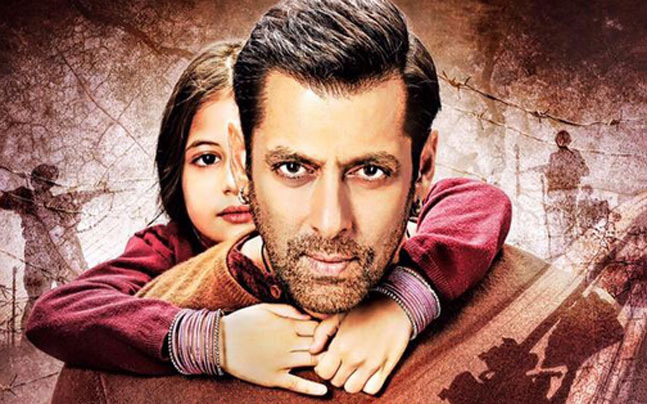 It is hard not to view the genial character of Bajrangi Bhaijaan as a vestigial response to Salman’s Khan’s tarnished public image which has yet to dent his box office bankability. It will be interesting to see if and how many times Salman uses his coming films to disguise or apologise for his crimes with the veil of stardom. The ending is remarkable in terms of ideological address, more fascinating than the rest of the film, opening a space for an imaginary dialogue on cross border cultural politics. Through the social media efforts of reporter Chand Nawab, ordinary people from India and Pakistan amass on the Kashmiri border, demanding Bajrangi be allowed to return home safely. Finally, Shahida speaks for the first time, quoting Bajrangi’s reverence for his faith, invoking a fantasy wish fulfilment, and visualizing peaceful relations, both politically and religiously. There is a veiled truth to the final shot when Bajrangi lifts Shahida into the air. Director Kabir Khan uses a freeze frame so that Shahida is left suspended in mid-air with Bajrangi looking up to her, ready to catch her. Choosing to finish on a purgative note can be interpreted ambiguously, translating metaphorically into a commentary on Indo-Pak relations, that they also remain suspended, in limbo, unresolved. Just like P.K., Shahida is still a child and thus has not been poisoned by the Indo-Pak culture of hate; it is not so much her innocence at stake but rather the mentality of a generation who might potentially opine differently about their respective neighbours. Glib this message maybe, and exponentially preachy, and while Bajrangi Bhaijaan is certainly not great cinema, it strives clumsily to a denouement of apocryphal cathartic proportions in which the hedonistic, emotional release is romanticised as a trait that only Bollywood knows how to manufacture with a completely benign morality. 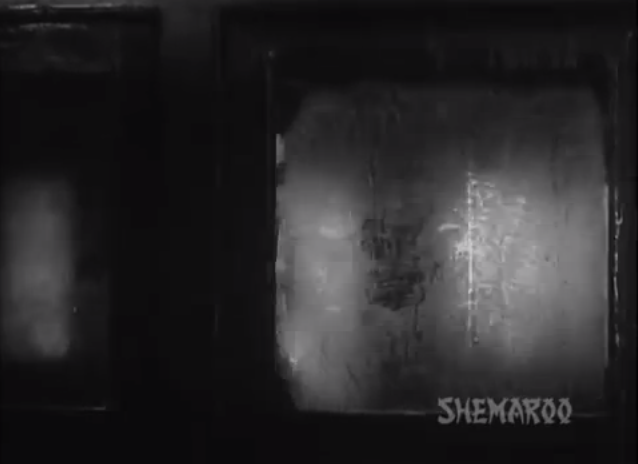 This entry was posted on July 21, 2015 by Omar Ahmed in Indian CInema, Partition, Salman Khan.